A highly emotional, thought provoking drama that easily lives up to the hype, 21 Grams is a film that has all of its bases covered; script, acting and direction. 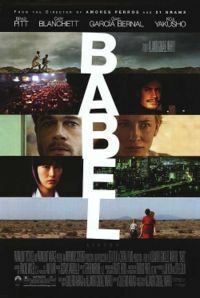 Paul (Sean Penn) a gravely ill mathematics professor; Christina (Naomi Watts) a housewife and former drug addict; and Jack (Benicio Del Toro) a born against Christian and ex con, are three complete strangers who are forever connected when a devastating tragedy drastically changes their lives. After the success of Amores perros, director Alejandro Gonzalez Inarritu had a lot to live up to, yet he pulls it off creating an emotionally draining film that has touched audiences and critics alike. Not your typical Saturday night entertainment, the title 21 Grams is in reference to the weight of the soul, so it is no surprise that this is a heavy film, dealing with subjects such as loss, revenge and ultimately, redemption. The film is edited as though it were a jigsaw puzzle, with the movie all over the place which leaves us the audience to put all the pieces together. Surprisingly, it is the least bit confusing, and kept this viewer on edge, wondering what would come next, although for some repeated viewings will be essential. The cast is amazing, especially in reference to the three leads who all deliver career defining performances. 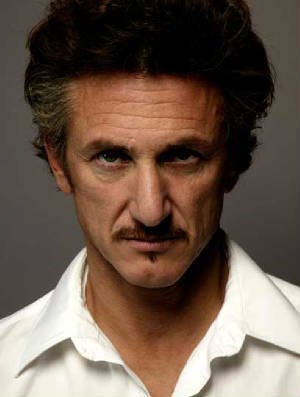 An actor who has given extremely powerful performances for over two decades, Sean Penn is still on top of his game. Known as the bad boy of Hollywood, Penn has always been able to show vulnerability on screen that contradicts his persona in the tabloids and 21 Grams is no exception. Benico Del Toro is another actor who has a very powerful screen presence. 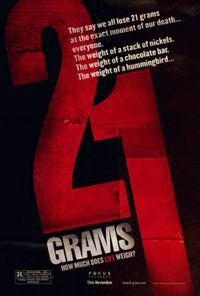 Where as most films focus more on the victim and the ordeal they go through, 21 Grams portrays what it is like for someone on the other side of a human tragedy, which Del Toro puts across in a very realistic, multi layered performance. Yet the most impressive of the three is Naomi Watts as the grief stricken mother and wife, Christina. It is a performance which is nothing short of amazing. To be able to go through all of those emotions on screen called for an actress of exceptional range and vulnerability. Watts more than holds her own against Penn and Del Toro and has proven herself to be one of the better actors of her generation.